Slingshot have just launched a new All You Can Eat broadband plan. Double the International bandwidth of the first All You Can Eat plan. Don't worry if you are already on the plan, you have probably noticed that we've doubled our capacity for you too. We are scaling the plan as customers sign up, so regardless of how many sign up, the experience will remain the same. We have separated the bandwidth pools completely from our existing plans, so AYCE has no negative impact to them. Feedback has been great from our customers since launching, so if you're out of contract with your current ISP, give it a try. Once again we are limiting the number of customers that we accept onto the plan to ensure we provide a quality service. T&C's etc on the Slingshot website - www.slingshot.co.nz. If you are an existing customer or are givng it a go, I am interested in your feedback, please drop me a PM. Do existing Slingshot customers get to keep their landline and iTalk services? How much extra for those, and can you confirm that upgrading from a NBT 25GB plan won't involve any minimum term contract? OOO! So you get 2KB/s international now. Way to go SS. What about the early adopters who got 2 year contracts, any reduction on there time? $60 and no strings? So that means that its only $60 or do you have the hidden landline tax in there as well somewhere? If the latter, that is blatant false advertising. richms: $60 and no strings? So that means that its only $60 or do you have the hidden landline tax in there as well somewhere? Any limit of proposed numbers? Could take a few days to convince... oh and after X months it goes back to full price? Or sustained $60 p/month? "Double the internet bandwidth of the original all you can eat" - Whats that catch? 20GB international data? Where are there hidden charges? All I see is a $60.00 broadband deal. You don't need to have your phone or tolls with slingshot on this deal. brandonruscoe: OOO! So you get 2KB/s international now. Way to go SS. 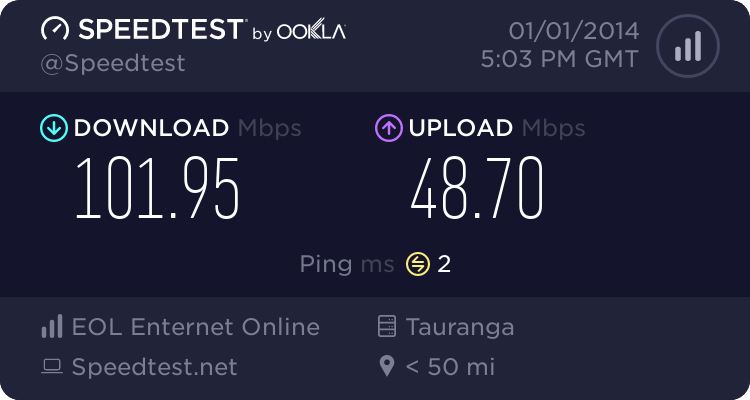 So for clarification, its $60 for the broadband only and you can keep your current homeline and tolls or switch over to slingshot if you wish to? When does the $60 deal end? I'm currently with Telecom & my broadband renews at the middle of each month. I'd like to move over just before it renews. Is there an international cap? And for the record, we no longer use telemarketing channels. All other relevant information is on the website. Sweet, thanks for the clarification Adrian, any idea when we can expect this promotion to end? End of November is the plan, although if demand exceeds expectation, earlier. I'm concerned at the performance. No problems on Telecom, and then come to SS and degraded performance consistently.. I'll have a think about it.